Android Leads The World Apple Music Apple's Music Application Works great with Android Devices. Apple's Music Application Works great with Android Devices. WHEN Apple launched its music streaming service onto its biggest competitor’s platform, it wasn’t sure how the product would be received. 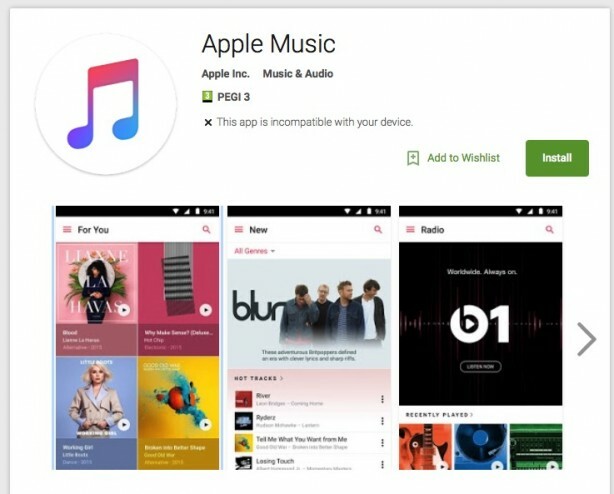 In the ultimate twist of fate, the tech giant awkwardly discovered Apple Music actually works better on Android smartphones than it does on its own devices.This week, Apple rolled out a new update to its Android app, which uses some of the features missing from iPhones.The biggest difference between the two platforms is Android’s ability to offer SD card support, meaning users can download songs onto the cards to listen to them offline. Try doing that one on an iPhone. Apple has also worked hard to account for how the Android operating system differs from its own. As such, the Apple Music app for Android embraces the design conventions of the platform and offers a fine tuned, sharp looking product. Apple has even promised it will add more Android-centric optimisation in the future. Currently, the tech giant is working to allow users of the streaming service to sign up using their Android device, instead of the current practice of using a Mac or iOS device. This suggests the company is more focused on creating a successful streaming service than attracting customers to its devices. Currently the app still only has a 3.3 star rating in the Google Play Store.